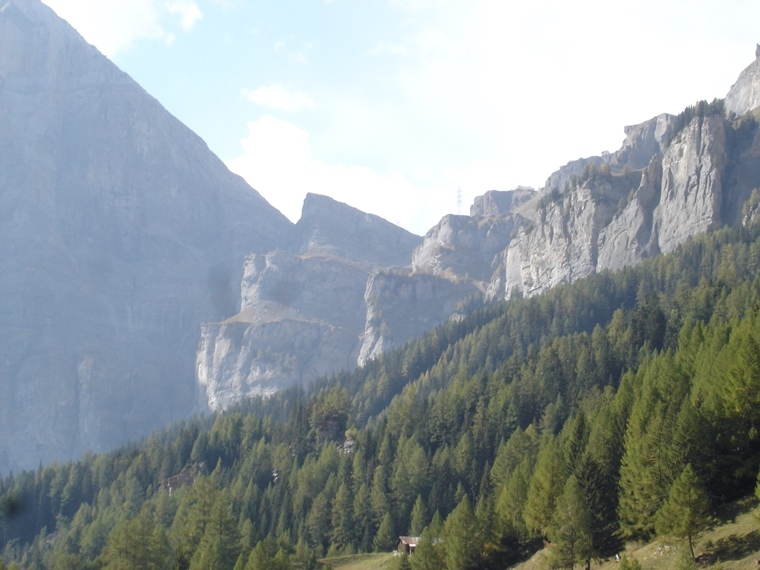 A superb hike on an old route up impossible-looking cliffs leads from the lovely valley around Leukerbad to the high Gemmi pass and into the craggy drama of the Bernese Oberland. 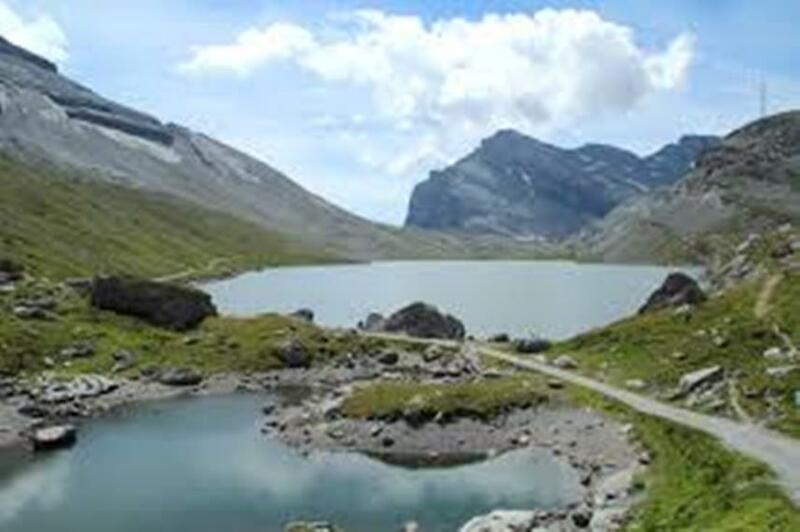 Swiss Tourism puts it nicely: 'The historic pass walk from Leukerbad into the Bernese Oberland can, without exaggeration, be described as the classic among classics'. 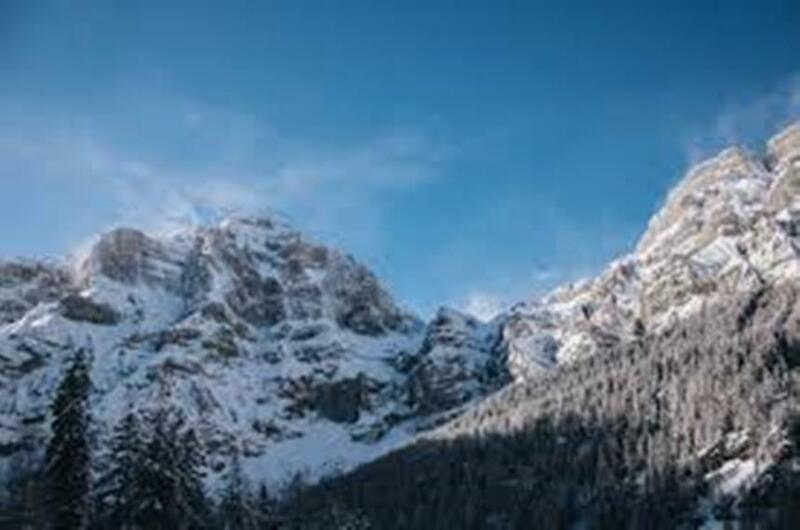 The route climbs out of the beautiful valley around Leukerbad up a hugely dramatic and impassable-looking cliff into the peaks and rocky wilderness of the Gemmi area. The climb is steep and it goes on, but it is not a difficult walk - although you can add on the local via ferrata if you want to create some extra thrill - or stress. 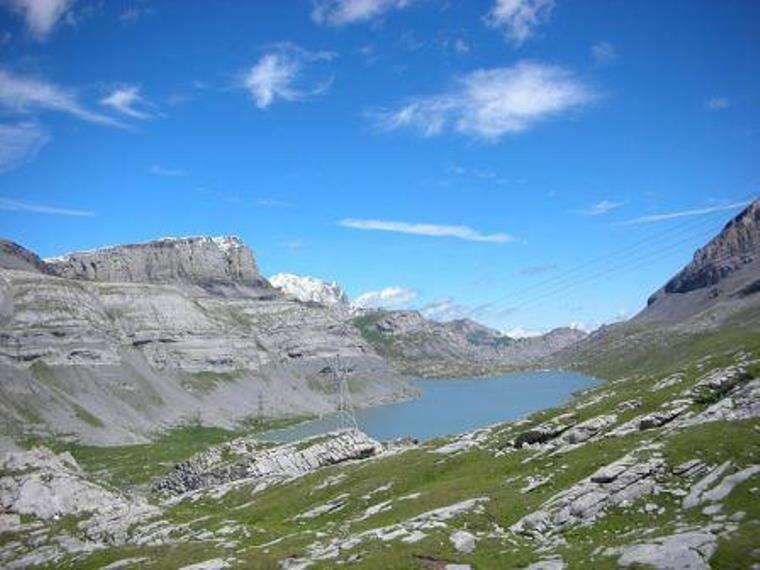 Once you are up into the high country you will gaze across the fine Daubensee lake in its scree, rock and cliff setting, with the Valais Alps in the background. Further on, you descend to the meadows of the Spittelmatte plateau. The trail ends at the Sunnbuel cableway station, whence you can descend and exit by bus. "Here's just the description of the Gemmi Pass Walk by Switzerland Tourism: http://www.myswitzerland.com/en-ch/the-classic-among-classics.html. [Walkopedia says: this has good information and photos]. I do not take the cableways on either side, but for those who want to take it easy that's a nice option. And on the way down to Kandersteg I do not go via the Sunnbuel route nor take the cableway but walk down the Steile Steg to Gasterntal and then from this valley down to Kandersteg - you should find this on one of the maps. I would recommend a stop at the Berghotel Schwarenbach below the Daubensee, having lunch there is heavenly. 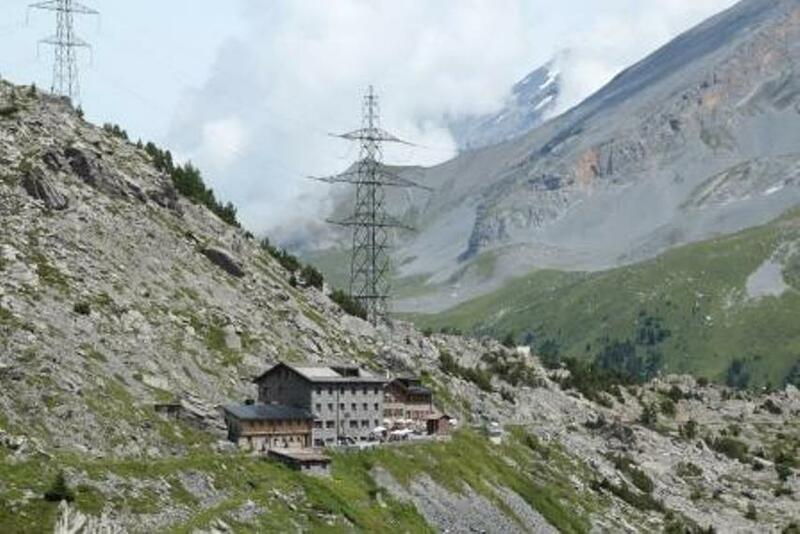 And for those who find that this is all a bit easy there is http://gemmi.ch/summer/via-ferrata-gemmiwand/?L=2 - not for the fainthearted and not for me any more!I I am happy with the spectacular trail from Leukerbad up to Gemmi." Walkopedia says: thank you, Dominik! The Gemini pass is well loved, and well walked, so this won't generally feel like a wilderness. Have a look at TripAdvisor - there are tens of millions of reviews, so you may get good, current views on the area.